Any occasion in our country is deemed incomplete without sweets and this is the place I always visit whenever any special occasion comes knocking. 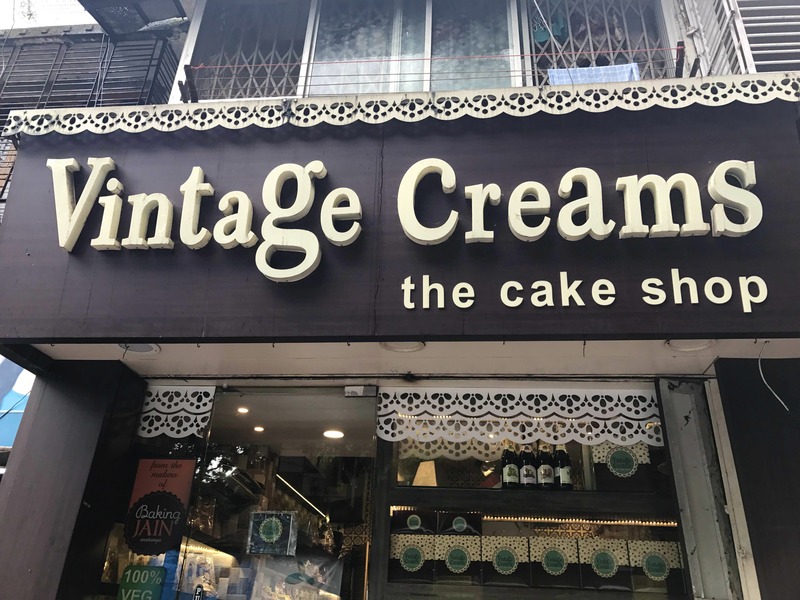 From the bakers of Baking Jain in Matunga, comes Vintage Creams - the cake shop in Ghatkopar. On a different note, they only serve you the best 100% vegetarian cakes, pastries, cupcakes and other such desserts. Although, they have got a variety of cakes - the yummy and mouth watering cake that will melt your heart and tickle your taste buds is their Rainbow Cake. You try it once and you'll wish to have it again. The outlet also sells some delish almond cookies and chocolates. You might be a little disappointed as the lane where the cake shop is located is always crowded in the evening and has an immense parking problem. Try out their cake first and then thank me later!